Check out this eighteenth edition of MindMyHouse News for all of the following: introducing two new Bloggers on assignment – house sitters extraordinaire Tom and Linda; meet our friends at UK-based ‘freecycling’ website UsefulGarbage; apologies to our UK members over some unreliable Geocoding map technology; hall of shame – an old loser returns to try to use our site for no good; looking good – do you want your photo included in our Meet the Sitters photo montage? ; in the interests of even greater transparency we have created a new ‘site-at-a-glance’ statistics page; and finally: the editor has a little melt-down as she feels unappreciated. Awwwwwwwww. Hello from our super-organised new home office here in Wellington, New Zealand (OK so we don’t have our shelves yet but we are getting there). We are feeling ‘blown away’ by our new lives here in Wellington (I mean that literally as the wind often threatens to blow us or the pram over) but we have decided that the weather here is ‘energising’ rather than anything else. It is almost summer up in the northern hemisphere and just today we have the first of many (we hope) sitter wanted listings published by sunbirders. This one was in Phoenix, in the southern states of USA. Bless your little cotton sunhats – enjoy your time in cooler climes while our house sitters enjoy their time in your pool! For the last two years we have been showcasing Clare’s fascinating house sitting stories in sunny Queensland, Australia in the Bloggers on Assignment part of our Community area. Clare may have felt a little lonely in our Community area until now – but we are thrilled to welcome English couple, Tom Hall and Linda Worthington, full-time house sitters extraordinaire, to Boggers on Assignment! Tom and Linda are keen bloggers with a lot to say about the weird and wonderful world of house sitting. Follow their antics here at Bloggers on Assignment in our Community Area – they would love to have you along for the ride! Have you recently registered with our site as a house sitter member from a computer in the UK and did you receive an annoying error message saying that there was a problem with part of your address? We would like to assure our UK members that the address they entered into our registration form was indeed correct. So please ignore that annoying error message that you received! Unfortunately for our UK members, Google’s geocoding technology doesn’t extend to the UK and thus we have to use the services of an inferior third party service provider to power our map-driven Local Sitter Search database in the UK. Due to its unreliable servers, our UK members are often getting an automated error message when they register with us. Please be assured that once our affected UK members have created their sitter available listing, home owners will be able to find their listings using our original search function. However, these house sitter members’ listings won’t be found in our Local Sitter Search database until this problem is solved. For a quick fix, login to your account area, choose ‘update contact details’ from the left-hand menu and make a tiny alteration to your address (such as adding a space). Once you have clicked on ‘save’ at the bottom of the form, our geocoding service providers should be able to place your location on a map in our Local Sitter Search database. However, if their server is not up at that moment, you may need to try again the next day. Sorry for the confusion this situation has caused; we are working hard on fixing this problem! Why don’t these would-be criminals take the hint and leave our site forever? Here’s the new email address of an old foe. He would like you to send him cash by Western Union money transfer so that he can arrange flights and visas for you on your behalf (not!). Or if you would prefer, you could write to him and send him on a jolly old goose chase waiting to collect your non-existant payments. Thank you for your vigilance in helping us to rid our site of these vermin. Should you receive any contact through MindMyHouse that you suspect is not legitimate please forward it straight to us. We love to deal harshly with these people! 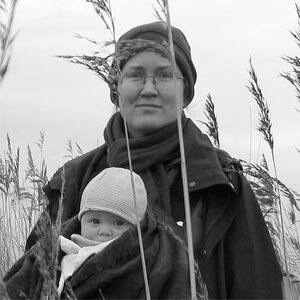 Looking good – do you want your photo included in our Meet the Sitters photo montage? 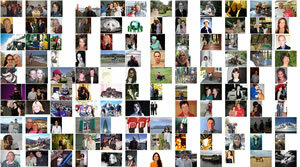 Quite a few of you have decided to upload one or more photos to your sitter available listings. You have definitely given yourselves an advantage over those house sitters who don’t have illustrated listings. I mean, when perusing a service or product online would you really consider the ‘unknown’ product over the one with the cheery photograph? (Not that I think our members are in any way ‘products’ but you know what I mean!) Anyhow, we think you are such a good looking bunch that we would like to create a photo montage of all of your images in a patchwork quilt-style single frame to feature in the Meet the Sitters section of our Community Area. We thought that featuring a large digital mural of our members would help our home owner members to see you as a community of friendly faces (rather than as a list of faceless house sitting candidates). If you have had success through our site – pleeeeeeeaaaaaaase tell us about it!